The Art-Invest Real Estate team has a wealth of experience in the real estate business. Its network gives access to exclusive investment opportunities and enables the potential for value creation to be realised. Zu diesem Filter können aktuell keine Mitarbeiter angezeigt werden. The Art-Invest Real Estate Group consists of several owner-managed companies. The shareholders of these companies are the managing partners and the Zech Group from Bremen. Art-Invest Real Estate Management GmbH & Co. KG (AIREM) is the asset manager of the group and acts as buyer, landlord, project developer, builder and/or seller. Art-Invest Real Estate GmbH & Co. KG (AIRE) is the Art-Invest Group’s own investment company. AIRE invests opportunity-oriented in project developments and refurbishments. In terms of properties, this also includes joint ventures with the funds of Art-Invest Real Estate Funds GmbH, project developers and other institutional partners. AIRE refinances itself through its shareholders, in particular Deutsche Immobilien Holding AG (the Real Estate holding company of the Zech Group). Art-Invest Real Estate Funds GmbH (AIREF) is the fund manager for regulated investment funds in the group and partner of institutional investors such as pension funds, insurance companies, foundations or family offices. Art-Invest Real Estate Property Management GmbH (AIRE PM) is the property manager of the group and combines all services around an effective, economic and customer-friendly management of the properties in the portfolio. We generate ideas for the world of tomorrow, primarily around digitalisation that also presents the real estate industry with new challenges. We work with strategic partners so we can deliver tomorrow’s values today. This benefits our clients too. 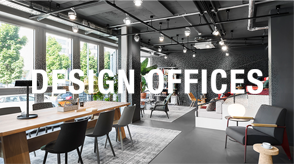 Design Offices as a leading provider of corporate coworking, Design Offices deliver trend-setting space solutions to enable successful and flexible workplaces in tomorrow’s world of work. 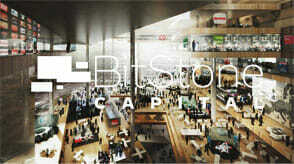 BitStone Capital is a venture capital company that invests in innovative start-up companies in the real estate sector. 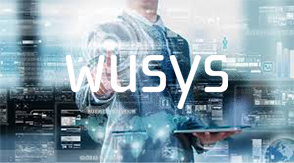 wusys is a provider of cross-industry IT services as well as everything relating to operating and servicing high-powered IT infrastructures. maincubes is a data centre operator providing customers with a network of high-availability data centres in Europe to enable secure eco-systems for the digital future of companies. 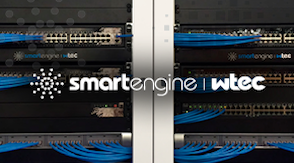 smartengine equips buildings with revolutionary systems. These are comprised of finely interwoven networks of sensors and real-time data that form the basis for complete smart building infrastructures while delivering energy-efficient and flexibly controlled lighting. 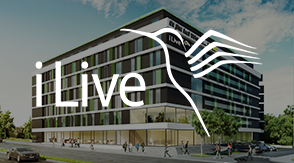 i Live is a group of companies specialising in micro-living and serviced apartments. i Live covers everything ranging from project development and general planning through to the sale and operation of the residential complexes themselves. DETERMINE DEVELOP DELIVER – our brand promise expressing Art-Invest Real Estate's four core values. Our supreme quality constructions and local expertise ensure that our work is highly regarded and creates sustainable value. The only way we can exceed our expectations is to approach each project with passion and creativity. The more complex the project, the more determined we are to add value. When we realise our vision, we create longterm value. To achieve this, we focus on creating solutions and working dynamically, we’re decisive in our actions and we’re not afraid to take risks where needed. When working for our clients, trust is paramount. We believe that traditional commercial values are key to building successful working relationships. Investments can generate value only in top locations that attract demand from both tenants and investors. Such demand is broad, long-term and resistant to economic ups and downs. We see potential to create value by developing projects, by improving letting and earnings situations, by refurbishing, repositioning, re-structuring finance, and by sustainability (green buildings). We are creative in finding solutions and act entrepreneurially and nimbly to enable Art-Invest Real Estate to quickly leverage potential.